Lights dimmed in the packed-out Vines Center at 11:30 p.m. Nov. 30 as students waited in anticipation for the annual Christmas Coffeehouse. The audience was filled with tacky sweaters and festive pajama sets. Landon Swain, a sophomore at Liberty, was the host for the second year in a row and greeted the awaiting students. 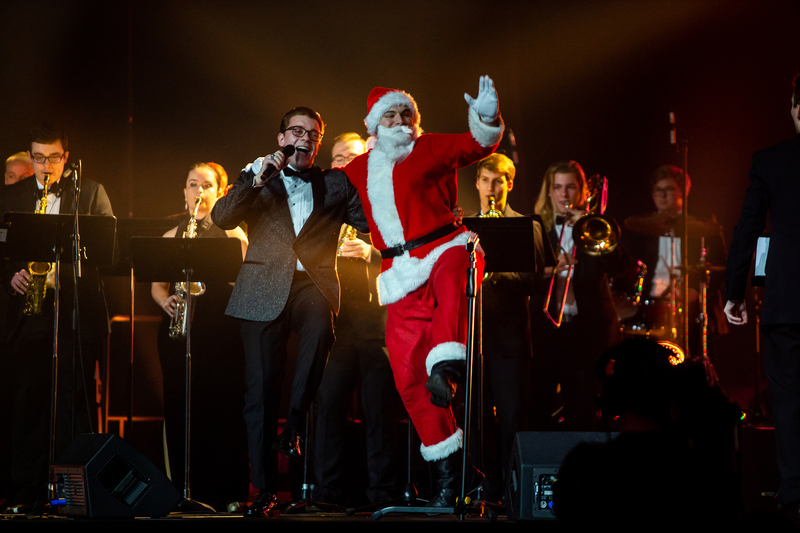 The show kicked off with a full brass band and throughout the night many classic Christmas songs were performed, broken up by humorous short films submitted by students. As Swain explained, during finals week, students find very little time to relax and enjoy the holiday spirit – Christmas Coffeehouse gives them an opportunity to do this each winter. While Student Activities takes care of the decorations and performances, the Event Productions department makes sure the lights, videos and music run smoothly. Shane Mullet works in the department and explained that Coffeehouse is a major collaboration between Student Activities and Event Production that is months in the making. “The part I personally love about Coffeehouse is the amount of artistic freedom we as designers are given,” Mullet said. 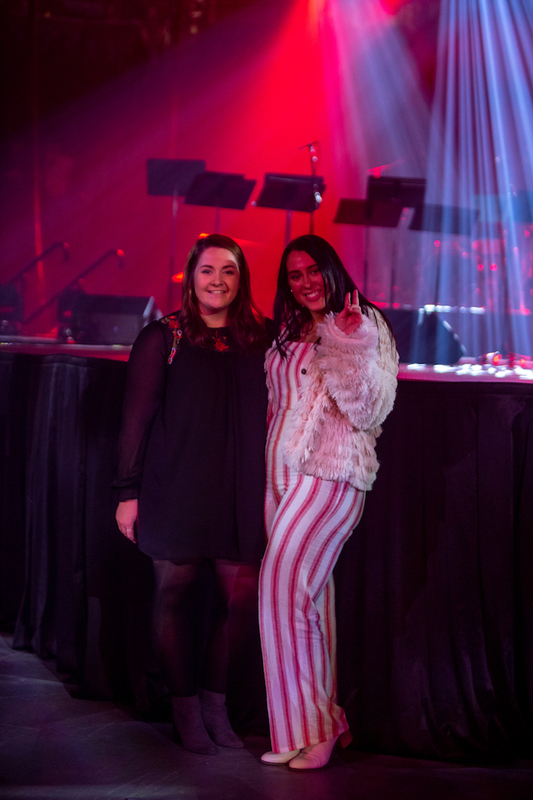 Students got to see the culmination of these creative efforts at Coffeehouse, where they took festive pictures with their friends and stayed out way past curfew. Getting the opportunity to perform on stage in front of the entire school or have your film shown to all your peers is quite an accomplishment. Hailey Gustafson, a representative for Student Activities, explained that between 25 and 70 acts audition for each Coffeehouse, and only the best are chosen. 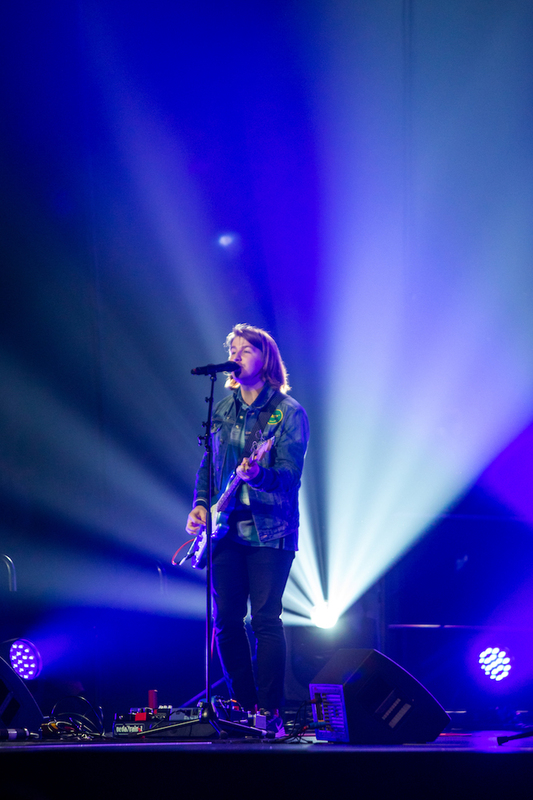 “Performers are critiqued on their performance in different categories, ranging from vocals to stage presence to song choice to theme relevance,” Gustafson said. This means that the students who attend are treated to some of their most talented and exuberant peers. 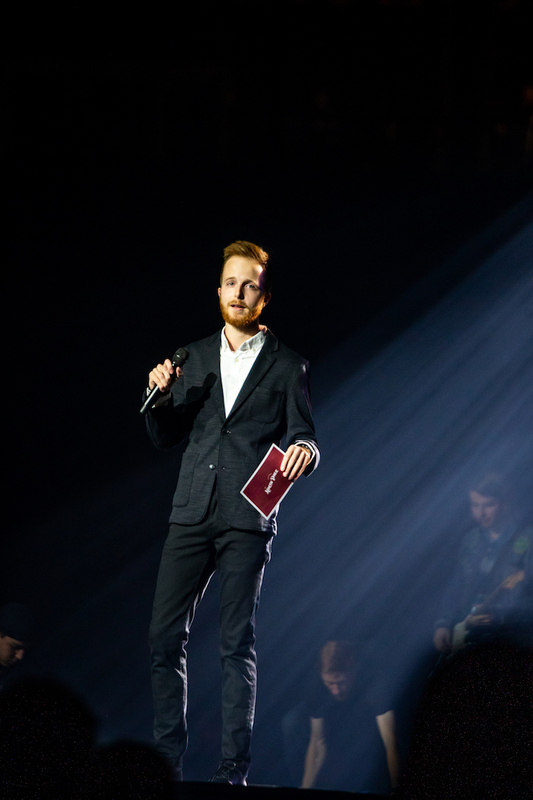 Singers, dancers and musicians shared their talents on stage, and the Student Activities team also revealed that artists like Bethel and Drew and Ellie Holcomb would be coming to Liberty next semester. Gustafson explained that it takes many people collaborating to pull this elaborate event off. “Our entire Student Activities team is involved in the planning process. This includes five full-time employees, three event supervisors, 15 event staff and four marketers,” Gustafson said. With months of planning and preparation coming to fruition in one night, it is clear that Christmas Coffeehouse is a labor of love. Swain explained that the entire Student Activities team is passionate about bringing fresh and exciting events to students at Liberty. In his opinion, among the stresses of academic life, it is important to find time to laugh and relax, too. 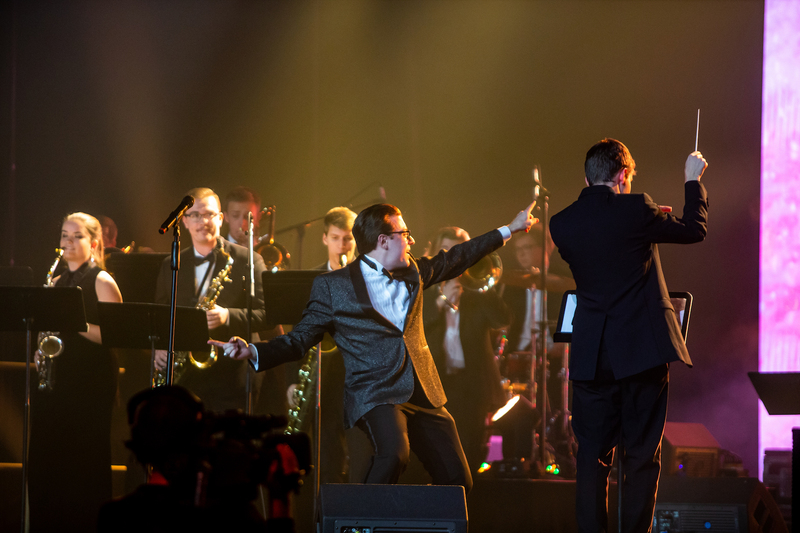 JOLLY — Students performed Christmas hits and classics beginning a half-hour from midnight and continued to delight the audience well into the next morning.